Dam removal is one of those topics, like gun control, where a middle ground doesn't seem to thrive. It seems like the arguments bounce between, "Dams equal jobs and if you get rid of a single one you're a communist" and, "All dams must go, because Mother Nature shouldn't be boxed in, man. Plus, I got this sweet new kayak." No in-between. The new documentary DamNation definitely falls in on the dam removal side, but the film mostly seems aimed at people like me: the laymen who see pros and cons on both sides, but are too wishy-washy to make up their damn (sorry) minds. As of 2013, there are 75,371 dams in the United States over three feet high; 30,000 completed between 1950 and 1970. 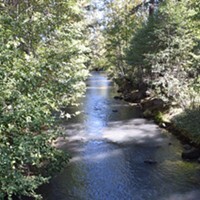 Much of the film's dam removal slant is aimed at the plight of the salmon. Their migratory cycles have been interrupted by the dams, and the amount of taxpayer money put into hatcheries and preservation programs seems ridiculous, as most of these programs are shown to damage the ecosystem more than stabilize it. While relying on hydro energy instead of fossil fuels seems like a positive step toward sustainability, the government was unable to grasp the cliché of "too much of a good thing" as a negative. 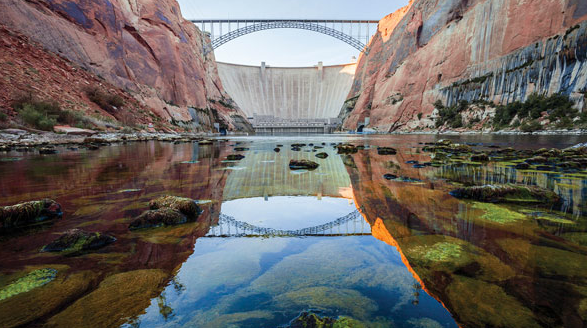 Dams were built at such a speed and fervor that the Bureau of Reclamation seemed afraid if it stopped damming up waterways then we would swiftly sink back into an agrarian society and, because of that mindset, places like Glen Canyon, Ariz., were lost forever. Glen Canyon was filled with Anasazi artifacts that went back to the 14th century. Pots with food still in them lay on rudimentary tabletops, almost as if the entire tribe got up and walked away on a whim. While the Sierra Club was busy trying to keep the Bureau of Reclamation from damming up the Grand Canyon, the BoR czar Floyd Dominy flooded Glen Canyon, giving a young team of archeologists barely any time to salvage the find. It is the footage of these young men and women playing around in what appears to be an Eden on Earth that speaks loudest to the harm some dams have done to not only our environment, but our history. While the film might not win over any dam supporters, it confidently states that the conversation has changed and that dam removal is now the nationwide fad and treats shots of exploding dams as its victory lap. DamNation backs up its environmentalist message by boasting some of the most stunning landscape photography I've ever seen. Long, beautiful takes of waterfalls and of the pre-dammed Glen Canyon say more about dam removal than any talking head ever could.